Batiste dry shampoos will be your best friend for those days when you don’t have enough time and whenever you need to freshen your hair. Batiste’s revolutionary range of dry shampoos clean and refresh your hair, as well as bringing volume and texture, with no need for water. Simply apply the product to the roots of your hair, leave it for a few seconds and softly massage the hair. Afterwards you can then brush and style your hair as normal and you will see that it looks much cleaner. 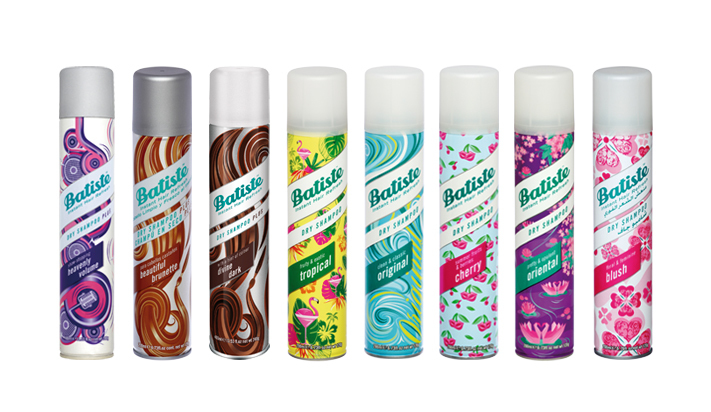 You can have fabulous hair every day thanks to Batiste!